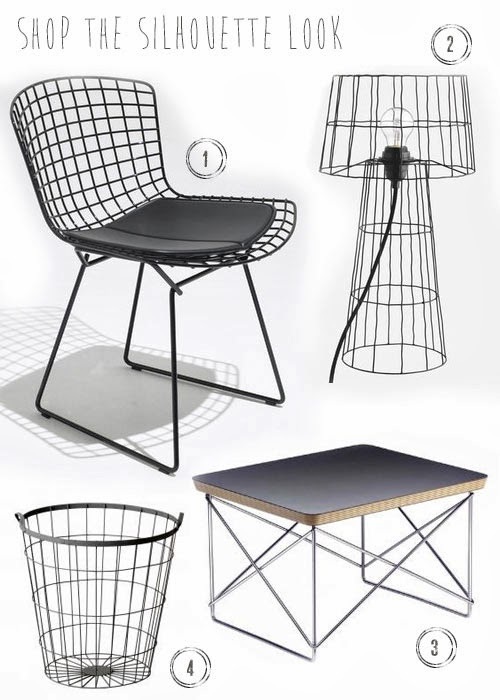 Elegant grid patterns and sleek wire frames are currently trending as a 'must have' furniture piece and home accessory. 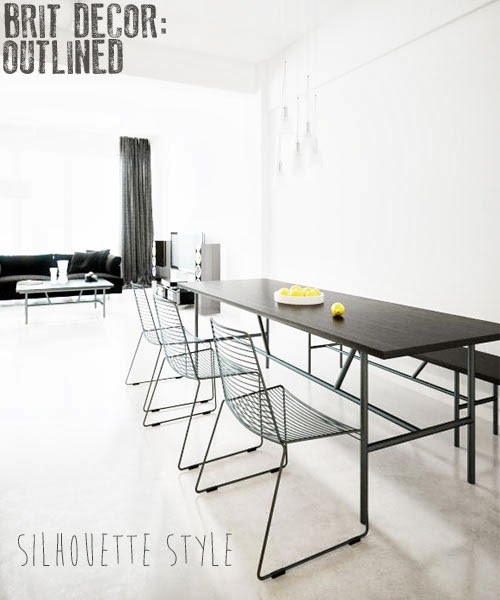 The striking designs truly 'rock' the monochromatic look to maximum effect. These modern classics look their best against a neutral backdrop and I love how light can create added detail by casting silhouette shadows like muted line drawings. These pieces are versatile too, try adding some textiles to the mix for a contrasting softer look. 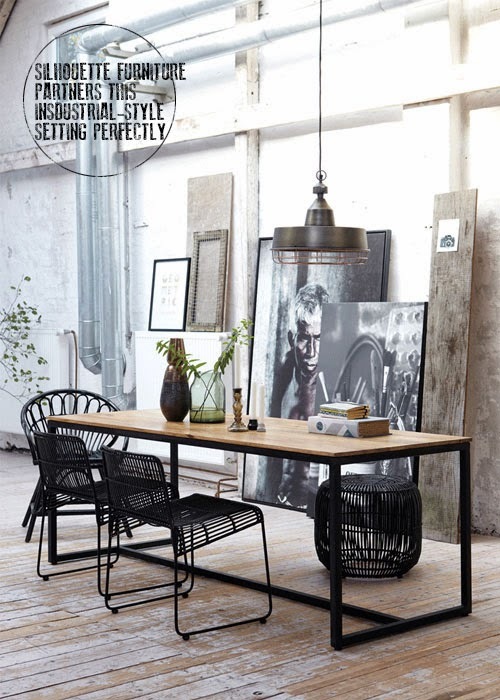 Also see how the wire frame ceiling pendant above works perfectly in a modern rustic setting so don't be afraid to experiment with different styles. 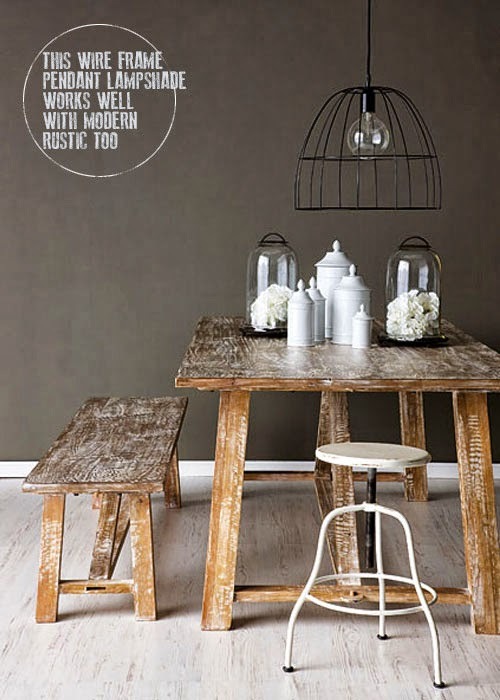 I have selected some of my favourite pieces below and I am particularly impressed with the new range available at Habitat, including the statuesque Baine lamp (2). Which style is currently getting you excited?